PEEK implants average 5 days from CT upload to delivery, with expedited options as fast as 24 hours. Contact us to learn more. 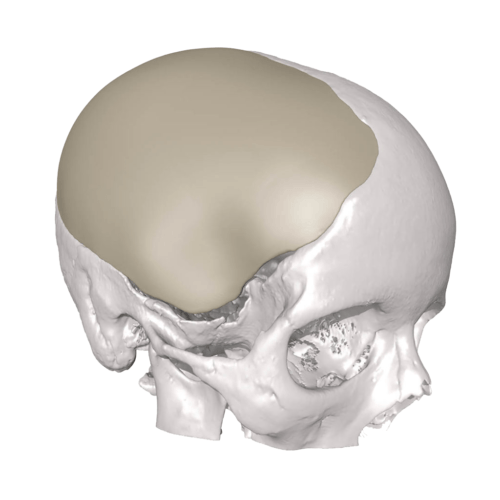 Easily order a cranial implant through our online service request and CT upload portal. Implants are digitally designed for minimal modification needed in the operating room. Prescribe design features, edge retraction, and more. PEEK compares well with the characteristics of natural cortical bone. The material is compatible with commercially available surgical tools and titanium fixation systems. 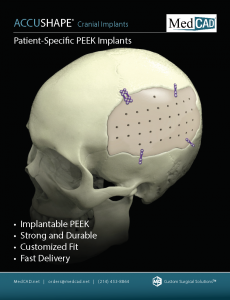 ACCUSHAPE® PEEK Cranial Implants are patient-specific cranioplasty plates. 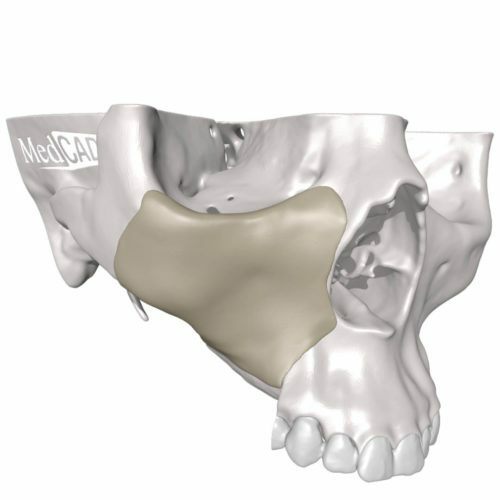 MedCAD clinical designers use the patient CT scan data to design an implant according to the clinical input of the surgeon. 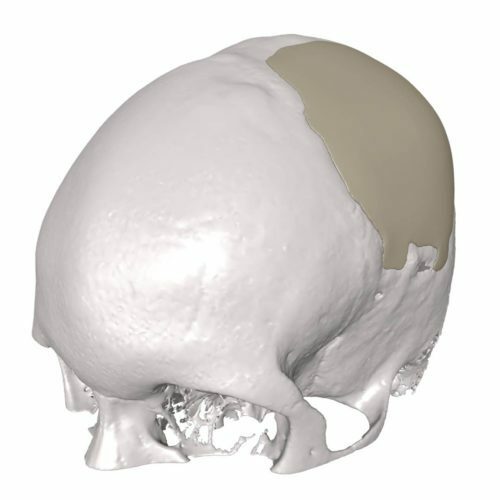 The cortical-bone-like characteristics of PEEK polymer make AccuShape® ideal for patient-specific cranioplasty solutions. 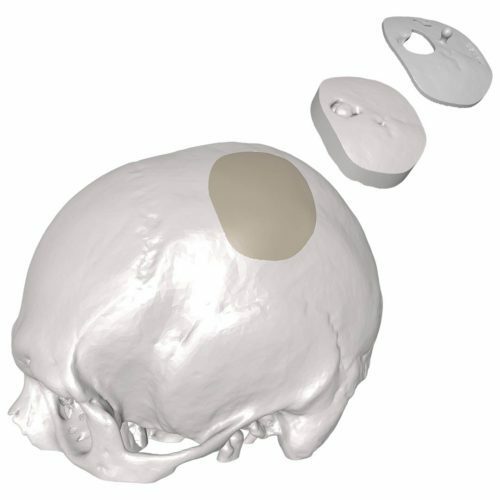 ACCUSHAPE® PEEK Cranial Implants fill bony voids with a PEEK polymer material comparable to the characteristics of cortical bone. The implant is derived from patient CT scan data. 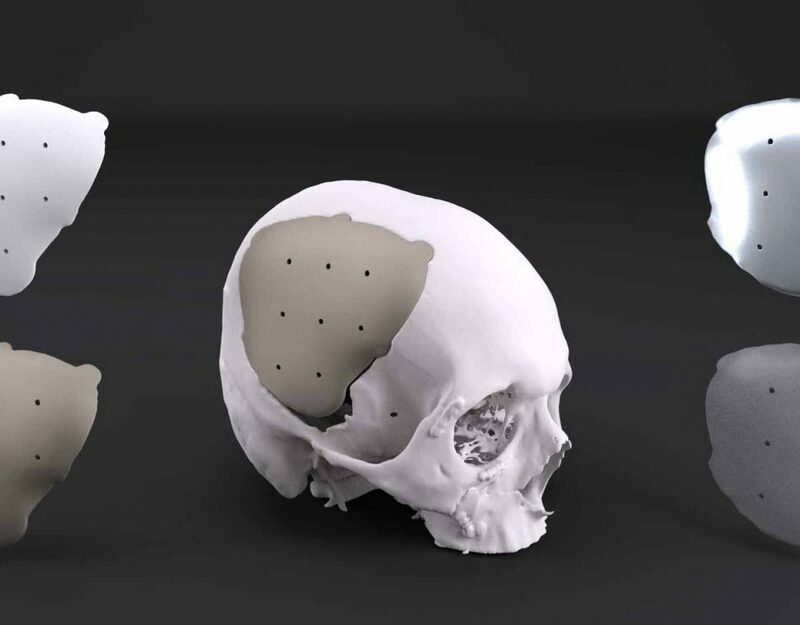 MedCAD clinical designers will then construct a preliminary design according to surgeon input and preference, which is then approved by the surgeon. AccuShape® PEEK implants have customizable features for patient-matched solutions and can be fixated with commercially available titanium plating and screws. Hole Customization: Drainage holes and dura “tack-up” holes. Fixation pilot holes may be included to match provided titanium plate configurations. Retracted design tapers the edge as prescribed. 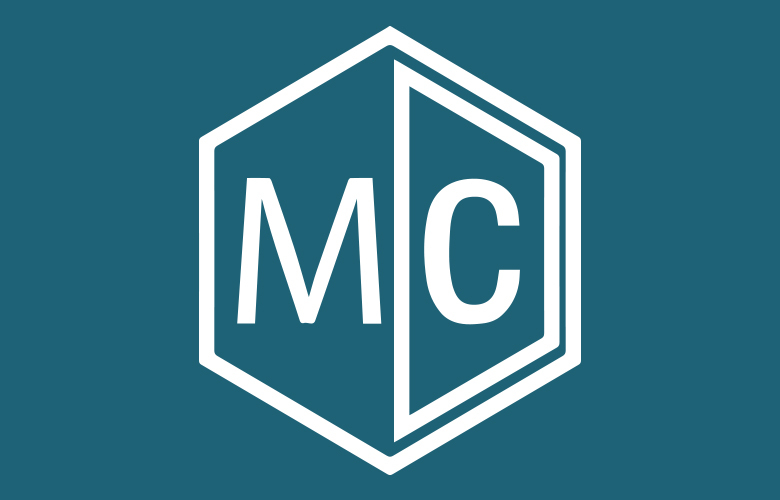 One-Day “Fast Track” Delivery: requires 24 hour notice and a 9am (Central Standard Time) CT upload to the MedCAD server, with a completed MedCAD Service Request. 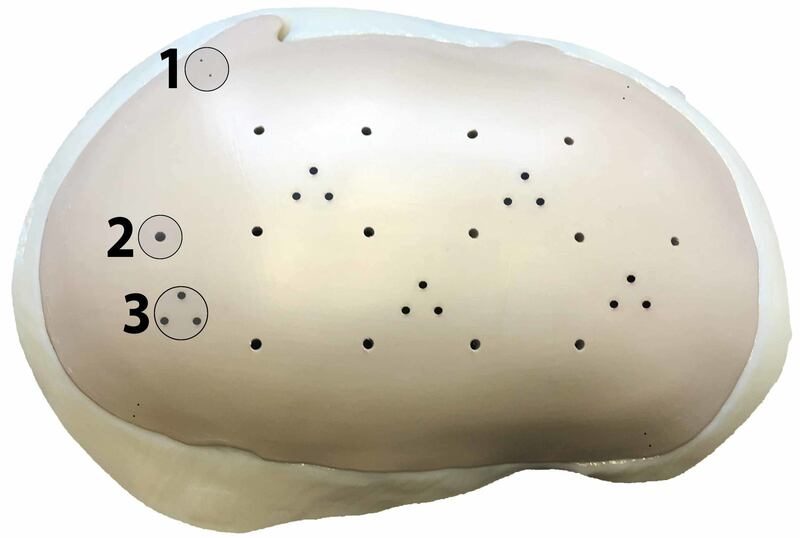 Figure ACS.3 - AccuShape Cranial Implants include (#2) drainage holes with options for (#1) fixation and (#3) dura tack up holes. We understand that your time is important. Complete a Service Request and upload your CT for quick processing.